Our collection of mismatched vintage tea sets is available to hire by the item or per head for parties, wedding teas, funerals and photographic shoots. 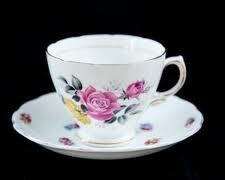 We can currently cater for the crockery, cutlery and linen needed for afternoon tea for up to 50 people. We are based in Timperley in Cheshire, just south of Manchester. Delivery within a 30-mile radius is free. A standard hire period is four days (Friday to Monday for a weekend event) but this can be discussed at the time of booking. 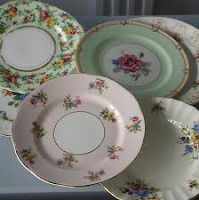 Because our collection of crockery is old and quite delicate, it needs to be washed and dried by hand. 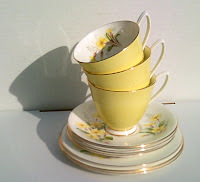 If you would like to leave that to us, just add 15% of the total cost of crockery hire to your order eg. for a tea party for 20 people costing £110, washing up will cost £16.50; for a tea party for 50 people costing £275, washing up will cost £41.25.